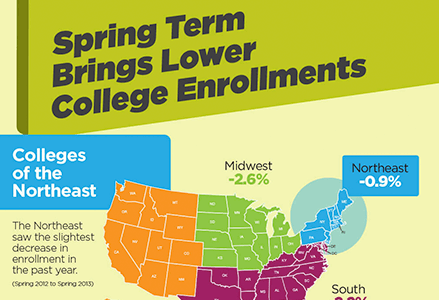 Spring 2013 experienced a 2.3 percent drop in college enrollment, including a notable rate of decrease among adult learners and female students. Our spring 2013 Current Term Estimates Report shows that the nation is still shedding college students – and at a faster pace. Check out our report findings, including by gender, age group, region, and more.